Connections obviously need to provide the structural strength necessary to transfer loads. As discussed above, well-designed connections also mitigate potential adverse effects of moisture ingress. Finally, well-designed connections minimize the potential for excessive tension perpendicular to grain stresses—under design conditions as well as those related to unusual loading conditions. Chapter 10 of the ASD/LRFD Manual provides details for a variety of design configurations (e.g., beam-to-concrete or masonry wall connections and beam-to-beam connections). Many begin with a brief discussion of the pertinent design challenges. 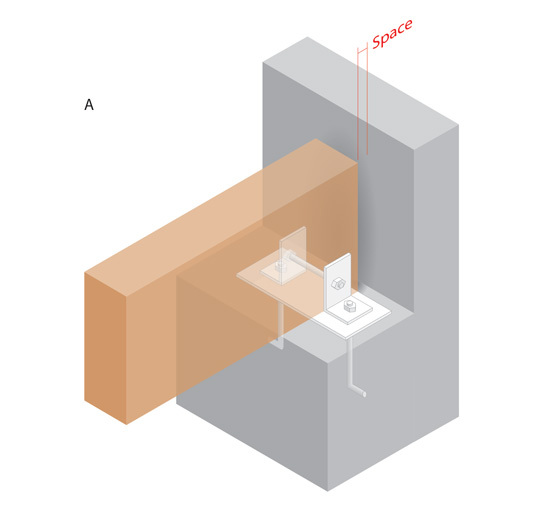 For example: Beam-to-Concrete or Masonry Wall Connections Design concept: Concrete is porous and “wicks” moisture. Good detailing never permits wood to be in direct contact with concrete. With the exception of height, the outward appearance of mid-rise wood-frame buildings has not changed a lot over the years; however, the quality and precision of design and construction has increased considerably. Connection-related design aspects that are more critical in a five- or six-story wood-frame building include accommodating greater dead, live, wind and seismic loads, which increase with the additional height. Going from four to six floors, for example, increases the gravity loads by 50% but lateral forces due to wind or seismic forces may actually double. 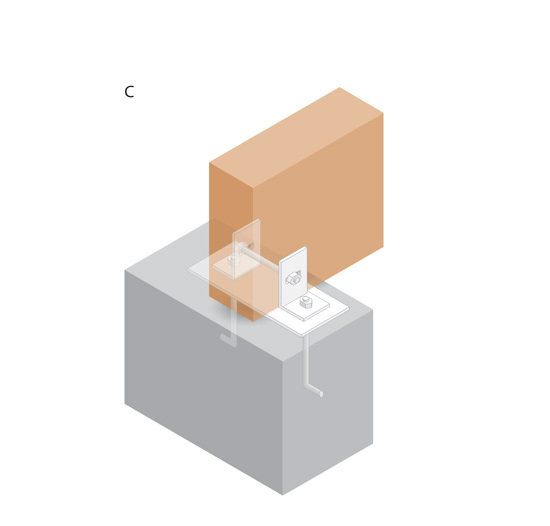 While the size and capacity of connections might change and designers may use more specialized, high-capacity connectors, the connectors themselves are largely the same as they are for any light wood-frame building—nails, bolts and lag screws used with and without proprietary connectors. Continuous tiedown systems are often used in multi-story wood shear wall construction for resisting wind or seismic overturning loads. Beam on shelf in wall. The bearing plate distributes the load and keeps the beam from direct contact with the concrete. Steel angles provide uplift resistance and can also provide some lateral resistance. The end of the beam should not be in direct contact with the concrete wall. Similar to detail A with a steel bearing plate only under the beam. Similar to detail A with slotted holes to accommodate slight lateral movement of the beam under load. This detail is more commonly used when the beam is sloped as opposed to flat. Cross laminated timber (CLT) is an engineered wood building system, part of a new product category known as mass timber. CLT is made from several layers of solid-sawn or structural composite lumber, stacked crosswise (usually at 90-degree angles) and glued together on their wide faces. This cross lamination provides dimensional stability, strength and rigidity, which is what makes CLT a viable alternative to concrete, masonry and steel in many applications. It can be used for an entire building, as both the lateral and vertical load resisting system, or for select elements such as the roof, floors or walls. There are numerous resources available to designers interested in connections related specifically to CLT and other mass timber products. These include the U.S. CLT Handbook, which is available as a free download at www.rethinkwood.com, and the 2015 NDS available from the American Wood Council. Common connections for CLT assemblies include wall-to-foundation, wall-to-wall (straight or junction), floor-to-floor, wall-to-floor, and wall-to-roof. 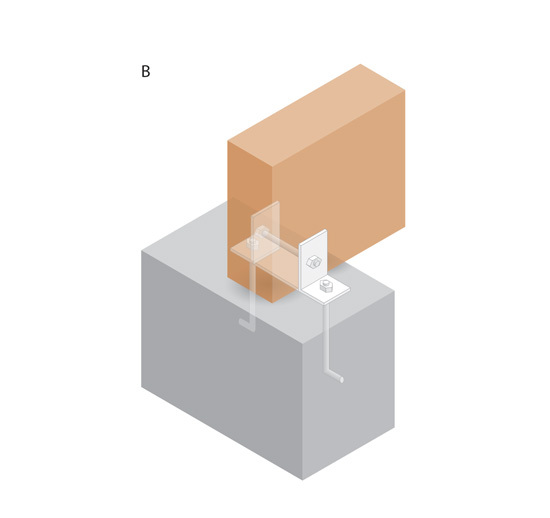 Panels may be connected to each other with half-lapped, single or double splines made from engineered wood products, while metal brackets, hold-downs and plates are used to transfer forces. Mechanical fasteners may be dowel-type (e.g., nails, screws, dowels, bolts) or bearing-type (e.g., self-drilling or self-tapping screws). In Europe, self-tapping screws are used extensively for the connection of CLT panels. Benefits include ease of installation, high lateral and withdrawal capacities, ability to take combined axial and lateral loads and the fact that, most of the time, they don’t require pre-drilling. Glued-in rods are also becoming increasingly popular both in mainstream heavy timber construction and, increasingly, for CLT. This is being driven by recent developments in CNC machining technology, wood materials and the desire for a high level of prefabrication to reduce assembly time and cost. Originally published in Engineering News-Record.